ABSTRACT: The early calculus, famously described by Bishop George Berkeley as ‘incomprehensible metaphysics’, was not underpinned by a clear logic, and lacked a rigorous justification. So how could it possibly be trusted to deliver correct results? In this paper I compare the early calculus with a number of other examples of successful science and mathematics to argue that logical rigour is neither necessary nor sufficient for an inference to be acceptable and for the concomitant results to be trustworthy. Instead, I argue, the trustworthiness of results is very commonly judged on other grounds, especially in physics. 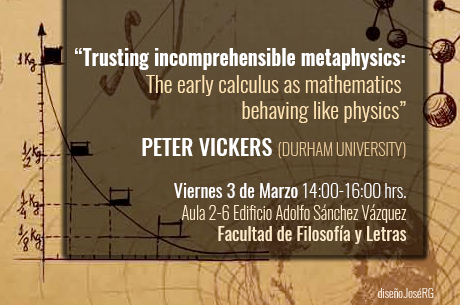 Thus I suggest that the case of the early calculus is an interesting example of mathematics behaving like physics, where trustworthy results are often based on false, and even inconsistent, assumptions.